Few hiring managers and recruiters realize that the hiring process itself offers a great opportunity to capture the names of top performers for your talent pipeline. I call this name-capturing approach “25 names” and it used people involved in the hiring process to provide you with those 25 names. It’s an intuitive process that is easy to implement and it literally costs nothing. The basic premise of this approach is that when you are hiring for a key position, you can simultaneously use interviewees, references, and your new hires as referral sources for providing you with the names of additional top performers. Then you can use those names to fill your candidate pipeline for future openings in the same job family. And since you are going to make the call to the three references anyway, with little effort and no costs, you have already gathered up to six names for your talent pipeline. I urge you to try this “25-names approach” because it can be used by any individual hiring manager or recruiter to produce amazing results in both large and small businesses. The process starts with the assumption that the hiring process for a current opening simultaneously provides a great opportunity to gather names of top talent for future openings. The tool relies on the most effective and proven sourcing tool, referrals. But in this case, the referral names come from participants in the current hiring process. 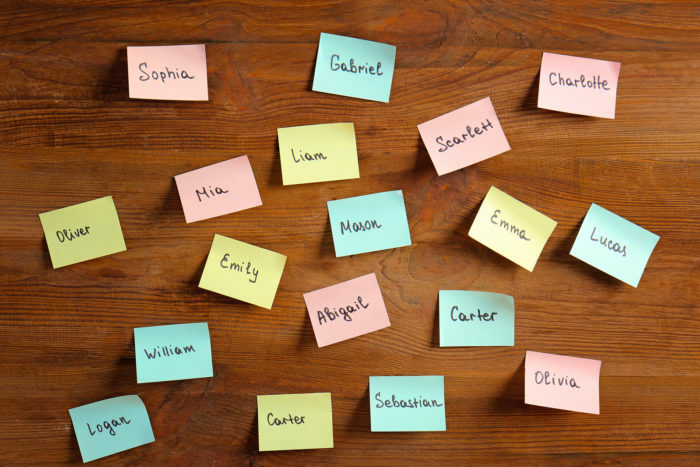 Here is the five-step process covering how you can gather 25 or more names. Step 1 — Ask those who you are interviewing to provide names — the finalists you are interviewing for your current job are “by definition” top candidates. And because one of the reasons that top performers and top candidates excel is because they are well-connected, you can use them to identify the top names in their field. So in addition to assessing them during the final interview, also ask them to provide you with names. You set the stage by explaining to them that one of your key assessment criteria is based on the premise that “the best know the best,” and as a result, you routinely ask each interviewee to demonstrate their knowledge of the top players in their field. Then directly ask them to “Please demonstrate that knowledge of your field by citing the names of the top five performers in your job family working at any firm.” If they object (which they seldom do) either move on or ask them to email you the names later. If you want even more names, ask every interviewee during their second interview to name at least two top individuals. After you gather these names, it would not be ethical to use them for your current opening. Name-capturing results — if each of your three finalists provides you with three to five names, after duplicates, you will now likely have at least 12 unique names to add to your candidate pool for your next opening. Step 2 — Ask the references of your finalist for names — both professional and personal references are almost always well-connected, and as a result, they almost always know the names of other top people (in addition to the candidate you are calling about). So as part of your process for checking the references of your final candidate, add a name-capturing component. And that means that after you complete your reference questions, ask for their help in building your talent pipeline. Ask them “You are clearly well-connected, so will you help us build our talent pipeline by giving us the names of anyone that you know in this field who is as exceptional as this current candidate?” And for those references that give you exceptional names, consider asking them to become a permanent referral source. Name-capturing results — if each of three references provides you with two to three names, you will likely end up with at least six unique names for your pipeline. Step 3 — Add names of the references themselves to your talent pipeline list — in many cases, the most qualified person involved in the hiring process isn’t the candidate, but instead it’s the people who they provide as references. So understand the value of the references themselves. When you are conducting your reference checks, assess the references themselves and the quality of the names that they provide. If you find any of these reference providers to be impressive, you should add their names to your talent pipeline. However, because the references are likely to be one level up, they should be added to your talent pipeline list for higher-level jobs in that job family. Name-capturing results — if two out of three of the references are impressive, you will now have at least two more names for your talent pipeline. Step 4 — Ask the new hire for the top names from their previous firm — after a new hire joins, their loyalty should have shifted to your firm. And because as new hires they are also likely to want to impress their new bosses, they are an especially ripe source for names. Onboarding is an opportune time to ask them. You have already asked them during their finalist interview for the best names throughout the industry. You should now shift your focus to the top individuals at their former firm. Rather than relying on memory, this time ask them to scan their contact lists and to identify at least three not-previously-provided names of top people in their functional area at their previous firm. Then broaden the request to include the entire firm. Ask them to provide at least three other exceptional individuals, managers, and innovators who worked in any area at your former firm and the names of at least two former star employees in any area that left their previous firm. Finally, you might also ask them to give you the name of their mentor. That mentor might be a great prospect for future hiring or you might be able to convince them to become a continuing referral source for names. If it applies, you should remind the new hire that they will get a referral bonus if they help turn in any of these provided names into an employee referral hire. Name-capturing results — you are likely to get at least three new names in their functional area and five exceptional individuals who work in different areas for other talent pipelines. Step 5 — Ask the recruiter for the names of top prospects/candidates who weren’t finalists — it’s not unusual for exceptional prospects and candidates not to make it to the final interview stage. So to ensure that those names are not lost for future openings, ask the recruiter for this current job to formally add the names of the top individuals who dropped out during this search to your talent pipeline list. Name-capturing results — you will be able to add at least two more names to your pipeline. Recruiters and recruiting leaders are constantly seeking new sourcing approaches. However, they unfortunately usually focus exclusively on social media or technology tools. And as a result, they miss taking advantage of approaches that are both simple and right under their noses. In my view, this 25-name approach should be used during every hiring process for key jobs because with little effort and no money you can easily capture the names of between 25 and 35 top future prospects. The same approach can also be applied to your college hiring program. The 25-names approach works because, at least to this date, it’s not technology, but instead it’s experienced professionals who are literally still the best source for identifying the names of the top performers in any field. So follow my recommendation and add to your traditional employee referral program this name-capturing tool that relies on those involved in the hiring process to find the names of exceptional prospects for future openings. So score this one for the humans, who turn out once again to be the best name-capturing source! If you found this article to be helpful, please take a minute to follow me on LinkedIn.